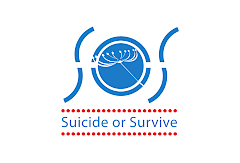 Suicide or Survive (SOS) is an Irish charity focussed on breaking down the stigma associated with mental health issues and ensuring that those affected have access to quality recovery services that are right for the individual. We are working to build a society where people embrace their mental health wellness and those with difficulties are treated with dignity and respect, and experience a service that offers them hope, a safe place and a positive future. SOS is leading the way through active collaboration which we believe will drive positive social change. We deliver our innovative and life changing programmes in community, corporate, collages and prison settings. All our programmes have been evaluation and strongly indicate that what we do and how we do it creates long term cultural change.